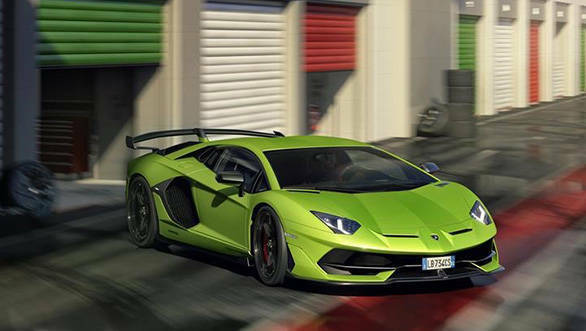 Lamborghini unveiled the Aventador SVJ at a worldwide premiere at Monterey Car Week in California. 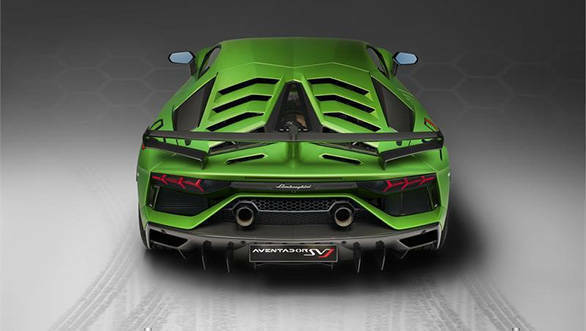 The new Aventador SVJ, where SV denotes Superveloce that means superfast along with the Jota suffix. 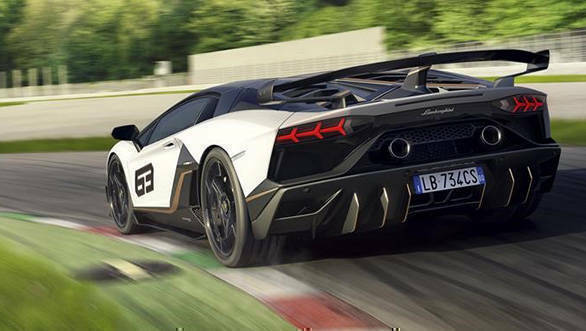 The Lamborghini Aventador SVJ already holds the position of the Nurburgring - Nordschleife production car record holder, completing the 20.6 km lap in just 6:44.97 minutes. 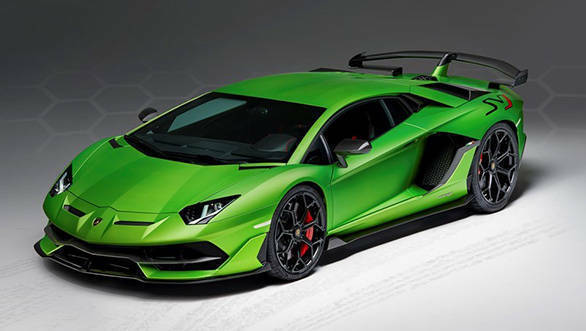 The production of the Lamborghini Aventador SVJ is limited to 900 units. 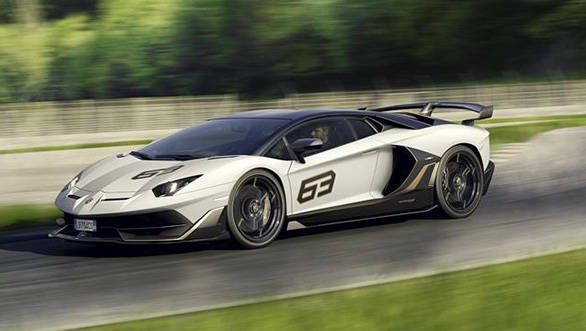 The defining factor of the Lamborghini Aventador SVJ is its naturally-aspirated 6.5-litre V12 motor which puts out 770PS and 720 Nm. This gets the car from 0 to 100 kmph in 2.8s and onto a top speed of 350 kmph. The car weighs 1525 kgs, made possible with the carbon fibre monocoque and liberal use of carbon-fibre elsewhere. This power bump has been brought about by the redesigned intake runners with a titanium intake valve, new intake ducts for the cylinder heads, and a lightweight exhaust system. The seven-speed auto has now been upgraded to handle quicker shifts. 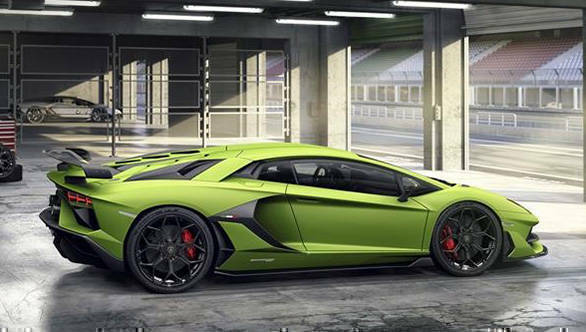 The Aventador SVJ 63 is the limited run debut version of the SVJ. 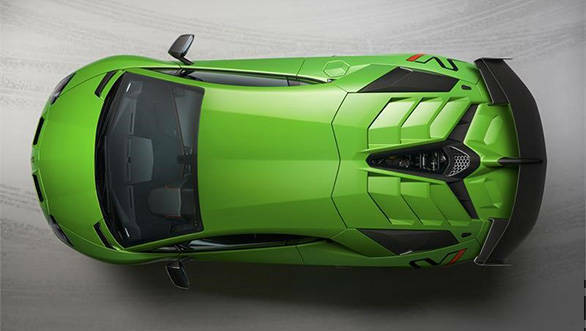 This has been built to commemorate Lamborghini's founding year, 1963. This version sees more carbon-fibre bits and a unique paint scheme. Only 63 units will be built. 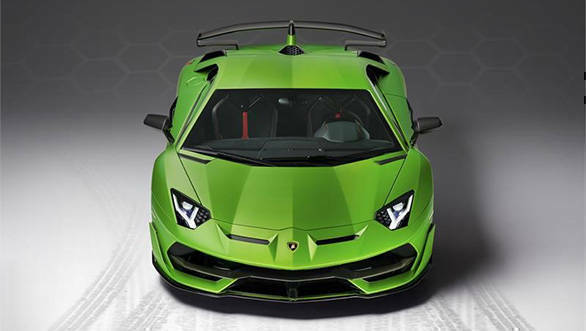 The production of the Lamborghini Aventador SVJ is limited to 900 units. 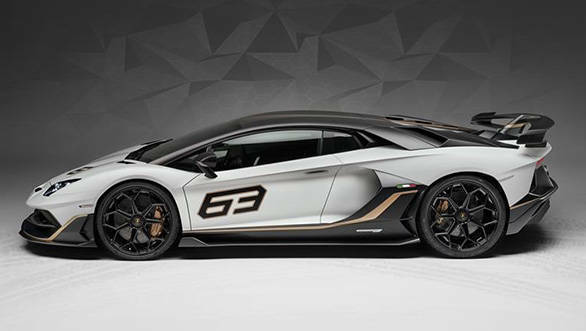 The Aventador SVJ 63 is the limited run debut version of the SVJ. The car weighs 1525 kgs, made possible with the carbon fibre monocoque and liberal use of carbon-fibre elsewhere. 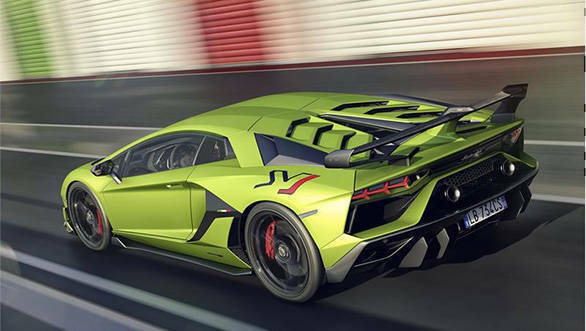 The defining factor of the Lamborghini Aventador SVJ is its naturally-aspirated 6.5-litre V12 motor which puts out 770PS and 720 Nm. The seven-speed auto has now been upgraded to handle quicker shifts. This power bump has been brought about by the redesigned intake runners with a titanium intake valve, new intake ducts for the cylinder heads, and a lightweight exhaust system. 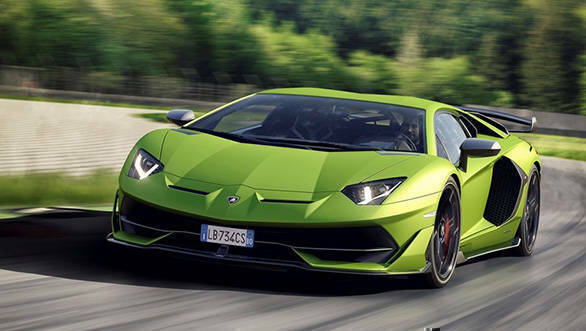 The SVJ63 has been built to commemorate Lamborghini's founding year, 1963. This version sees more carbon-fibre bits and a unique paint scheme. Only 63 units will be built. It recently beat the record held by the Porsche GT2 RS by two seconds when it went around that track in 6m 44.97s.